How Storage Locker Plays an Important Role In an Individual's Life? Banks, universities, sports club and library are some of the places that we often visit. What if there wasn’t any specific place to store things? The entire place would have been in a huge mess, wouldn’t it? Apart from people moving in and out, you will always encounter many important things and belongings that if not attended to, would create immense clutter. Here is where a storage locker plays an important role. Be it banks, schools, library or even one’s own house – storage lockers have managed to make a place of its own in all walks of life. Today, let me walk you through some of the points that will justify the fact as to how storage locker plays an important role in an individual’s life. Read on to find out about them. An individual is a person who either visits a school, a college, an organization, any public places or an industrial unit. Let me walk you through the benefits that an individual encounters with a storage locker in these places. Read on to find out about them. An organization is a place where you will come across many important files and folders carrying highly sensitive information. Also, you will come across a bundle of belongings that the employees would be carrying. What if you do not provide a place for all these things? You might end up creating chaos and clutter in an organization, affecting an individual’s productivity. Here is where a storage locker plays an important role in bringing about a sense of discipline as well as neatness. When a predefined space is assigned to store all the important documents and file, you make way for a highly productive work environment. A plethora of individuals walk in and out of public places. Here public places are referred to public libraries, bus stations and many such places where you will find a lot many people moving in and out. Sometimes, they are also accompanied by their personal belongings. How about providing a safe abode to their personal belonging? When you have a storage locker that specifically looks into taking care of these belongings, it becomes convenient for people to carry their personal belongings. A bank is one such place where you will come across highly sensitive information that demands a proper place for storage. Starting from important files and folders to safeguarding valuables of your customers, a storage locker in the bank premises has an immense responsibility to be adhered to. With advancement in technology, there are the electronic storage lockers gracing the premises. Apart from the technical functionalities, an electronic storage locker proves to be the epitome of durability as well as functionality. Hence a storage locker helps to provide the much needed security that a bank demands. 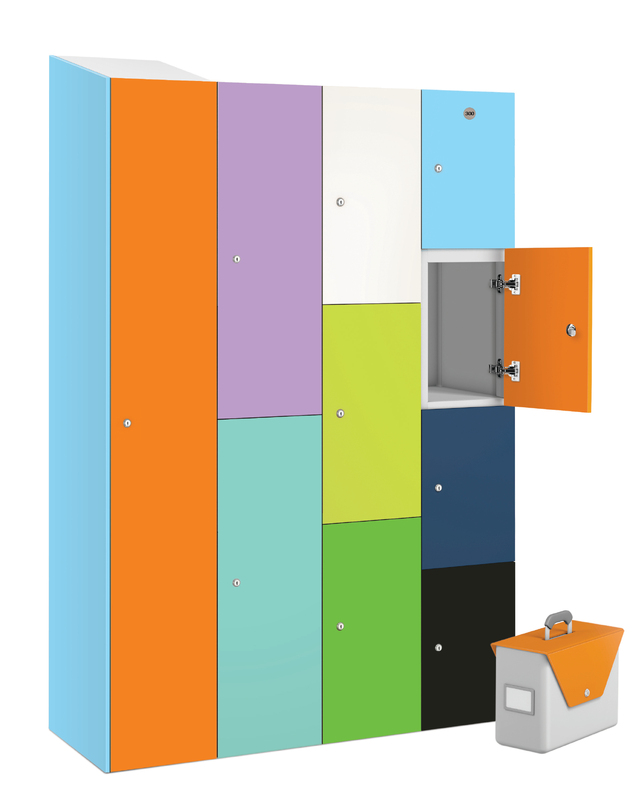 Nowadays storage lockers have become mandatory in almost all walks of life. Be it in offices, banks or a sports club, the need to store has made it one of the essential investment options. Security and discipline are the two major advantages of opting for a reliable storage solution. Having said this, a storage locker has proved to be one of the important amenities that an individual encounters in every walks of life. This entry was posted on Tuesday, April 3rd, 2018 at 7:01 am	and is filed under Lockers. You can follow any comments to this entry through the RSS 2.0 feed. You can leave a comment, or trackback from your own site.